Designed for one-time use, the Supersoft Disposable ring in the ultimate in convenience, and can be used easily with a condom. The soft design and feel makes it perfect for men who find the standard rings too tight or rigid, and for those who need less force to maintain an erection. Not for use with Osbon Ring Loader. Must be loaded by hand. This was a defective product and tore in half the second time it was used. 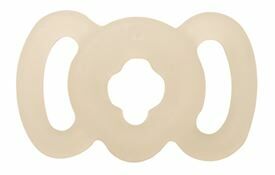 I have used product before and they worked great, these seem to be made with less quality rubber. Not too soft, not too firm! Perfect for my ErecAid needs! Keep it one during entire performance..If you are careful it works many times.. I have to use two rings but it works.